Only you can prevent monstrous takeovers. 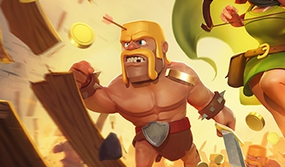 Goblin Forest can be a tricky place in Clash of Clans, even to the point that your troops can be overwhelmed. Thankfully, we've got a new walkthrough video that shows you how you can prepare your units for incoming goblins. Who knows? If you do a good enough job, you might even earn some extra coins in the process.